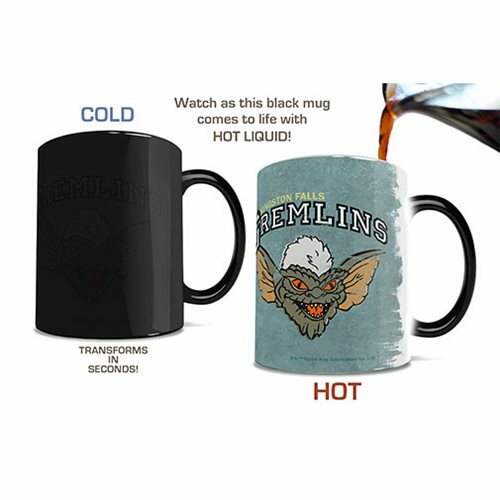 Liquid and Gremlins... No problem there, right? Seems safe. 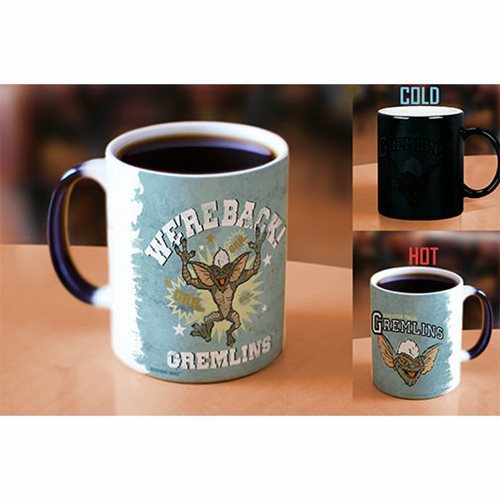 Pour hot liquid into this Gremlins Kingston Falls Gremlins Heat-Sensitive Morphing Mug and a vintage-style image appears. The collegiate style of this mug lets you imagine coaching your own varsity team of monsters. The exterior of this 11 oz. mug transforms from black as hot liquid is added, revealing the hidden image in full vivid colors. 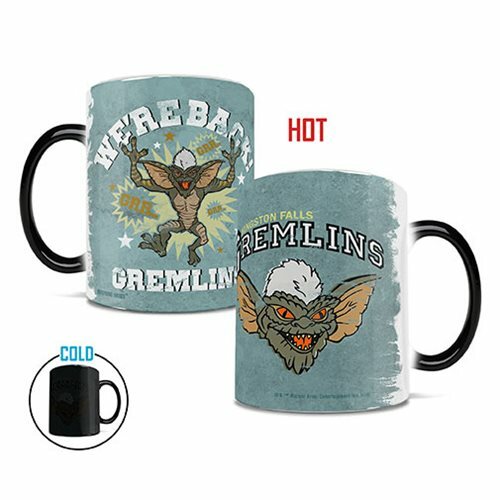 Makes a great gift for fans of the Gremlins movie. Hand wash only. Not dishwasher safe. Do not microwave.